Free, 2x3-hour, in-store, classes with purchase of each Bernina machine taught by certified a Bernina Instructor. Ask your in-store associate for details. BERNINA Stitch Regulator (BSR) included: The BERNINA Stitch Regulator (BSR) is designed to help you master free-motion techniques by keeping stitches consistent at variable sewing speeds. 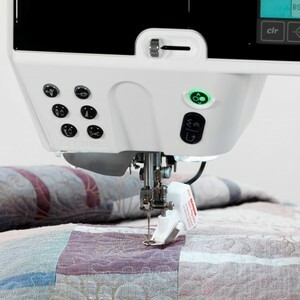 The BSR offers confidence for the beginner and additional insurance for the experienced quilter. The BSR comes standard with the B 570 QE. Exclusive! Total Stitch Control: The B 570 QE provides an exclusive level of stitch control. Whether altering the stitch length (up to 5 mm), width (up to 5.5 mm) or needle position (up to 11) or even creating custom combinations, you’ll appreciate the convenience of a machine that remembers the stitch details for you. 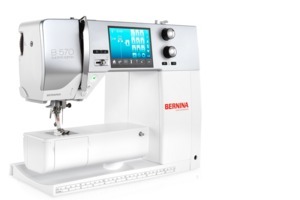 The B 570 QE is a genuine all-rounder that can sew, quilt and embroider. 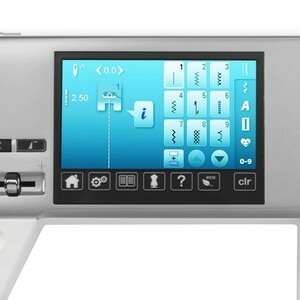 The touchscreen makes changing from sewing to embroidery mode a breeze. 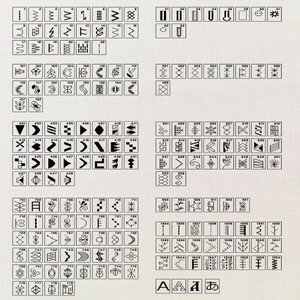 There are 50 embroidery designs to choose from, and you can upload your own embroidery designs via a USB connection. The designs can be edited right on the touchscreen with the Rotate, Mirror, Rescale, and Color Change functions. Greater Sewing Comfort: Unique to BERNINA, the Free Hand System (FHS) raises and lowers the presser foot while releasing thread tension and lowering the feed dog, leaving your hands free to guide your project. Also included is a practical extension table with ample space to support your larger sewing projects. More Memory Options: Let your B 570 QE keep track of the details with multiple memory functions. It remembers the changes you make to the stitches as you use them in your sewing session. It will also remember your favorite stitch settings for each stitch when saved in the long-term memory. For creative applications, you can save up to 70 stitches in a combination. Extensive Stitch library: The B 570 QE offers up to 642 utility and decorative stitches, including an automatic buttonhole. Stitches can be selected via the color touchscreen. The user-friendly interface of the B 570 QE allows you to navigate quickly and easily. The modern color touchscreen displays all your settings, and the Creative Consultant offers on-screen help and support. 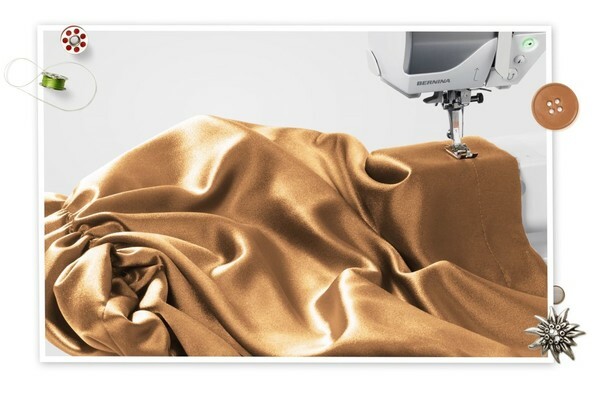 Plenty of Room to Expand Your Creativity: The B 570 QE was designed with your sewing future in mind. 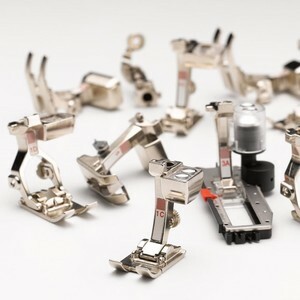 A variety of special accessories and presser feet are included with the machine. 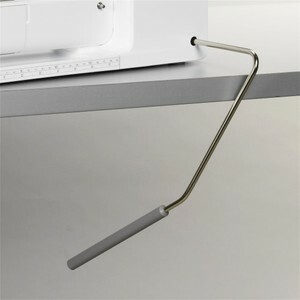 When you are ready to expand your options, you’ll find a broad range of accessories available. Whatever new techniques you want to explore, you’ll find the right accessories to help you to enhance your sewing and quilting skills.